Presented is a Miami Dolphins road jersey worn by Jarvis Landry during the 2016 NFL season. The jersey is authenticated and video matched to a contest versus the Tennessee Titans on October 9, 2016. 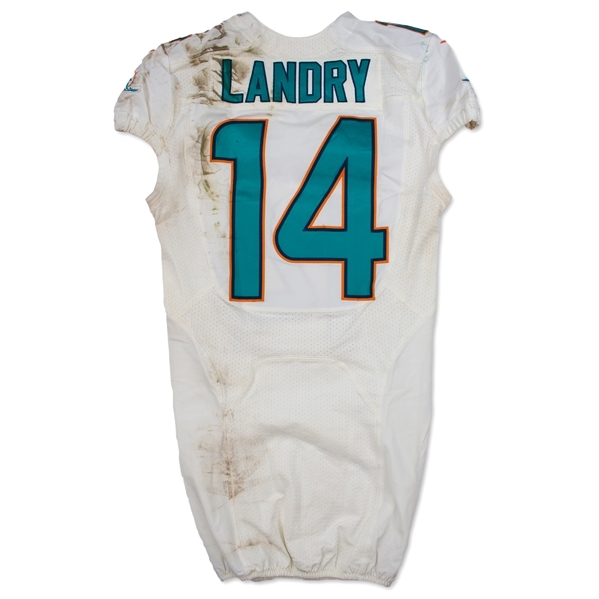 The size 38 Nike jersey is tagged "2016", "LINE" indicating the year the jersey was manufactured and the cut of the jersey. 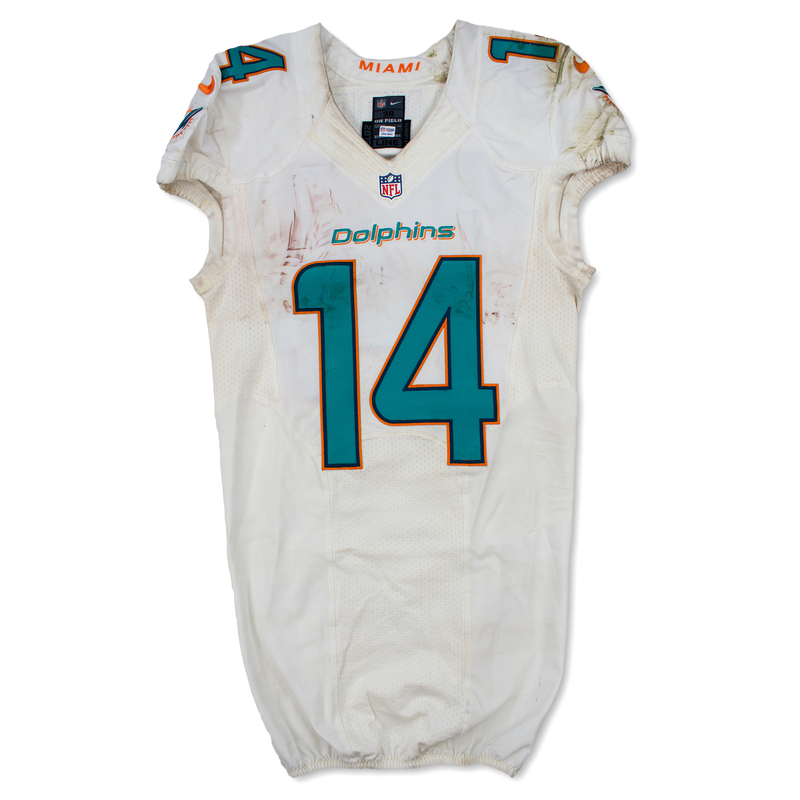 The garment shows incredible game wear in it's unwashed state as the jersey sports heavy stains and ball marks. 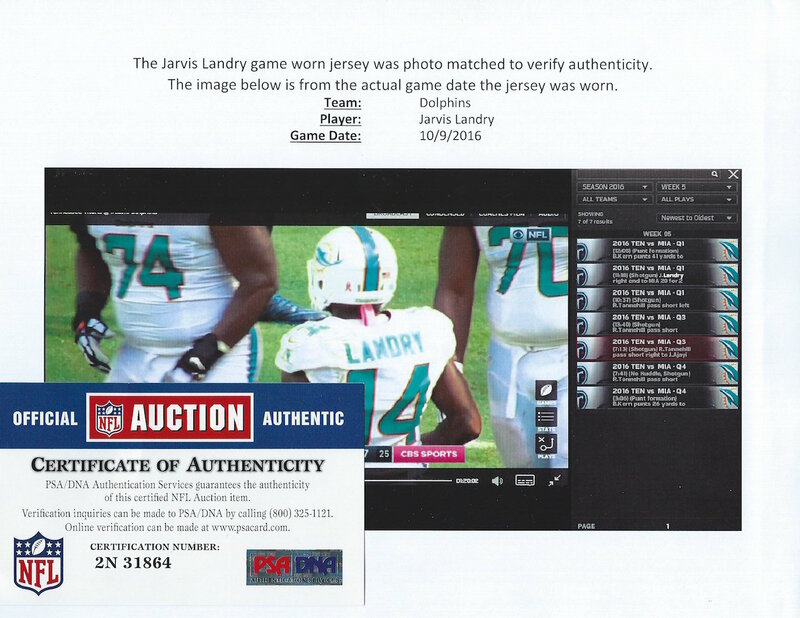 The jersey comes with a printed video match from NFL auctions along with a NFL/PSA certificate of authenticity.